Grandma pleas for Khaled Sharrouf grandchildren to return to Australia. The PM is unmoved by a grandma's pleas for ISIS orphaned grandchildren to come home. Prime Minister Scott Morrison is unmoved by calls to bring the three surviving children of Australia’s most notorious terrorist home from Syria. Khaled Sharrouf’s three remaining children are being held in a refugee camp in northern Syria after surviving a fierce battle for Islamic State’s last stronghold in Baghouz. Their grandmother, Karen Nettleton, has called on the federal government to help the children return to Australia. However, Mr Morrison has not been swayed by her pleas. 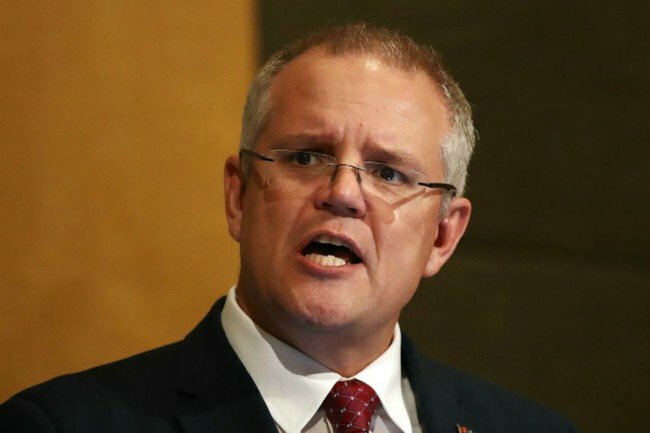 “I’m not going to put one Australian life at risk to try and extract people from these dangerous situations,” he told reporters in Canberra on Monday. Sharrouf and two of his sons were killed in a US air strike on Syria in 2017. The children’s mother is believed to have died of a medical condition in 2015, after following Sharrouf to Syria from Sydney. His daughters Zaynab and Hoda and eight-year-old son Hamza are in the Kurdish-controlled Al-Hawl camp, alongside eight other Australian women and their children. Zaynab, 17, has two young children and is heavily pregnant with her third. “They’re with other Australian and foreign fighters (in the camps) and they shouldn’t be in amongst all of that,” Mrs Nettleton told the ABC. Save the Children Australia’s Mat Tinkler said Australia should follow the lead of France, which recently repatriated five orphaned children from Syria. “We seek to ensure Australian children trapped in Syria are not punished for the crimes of their parents,” he said. Meanwhile, a Sydney tradesman who also travelled to Syria to join IS in 2015 and is being held in a Kurdish-run camp has begged the government to let him and his family come back. Mohammed Noor Masri told the Sydney Morning Herald he wants to get his Australian wife Shayma Assaad, who’s pregnant, and their three boys aged three, two and one out of Syria. “[I feel] remorseful, regretful. I mean, people make mistakes. And you have to pay the price for your mistake,” the 26-year-old said. Masri claims he didn’t fight for IS, but instead worked in a hospital, where he maintained refrigerators and air conditioning units.